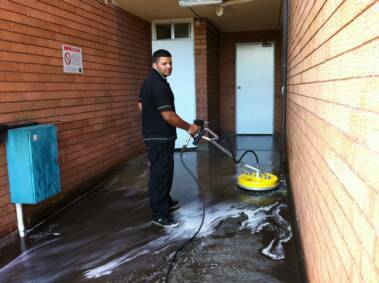 Cleaning concrete is one of the most difficult tasks a home or business owner can undertake. 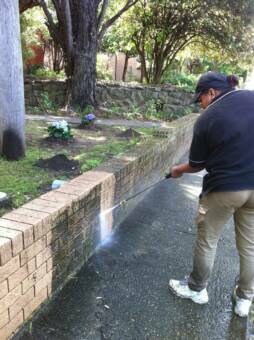 By its nature concrete is a porous substance and is impossible to clean without the proper equipment. 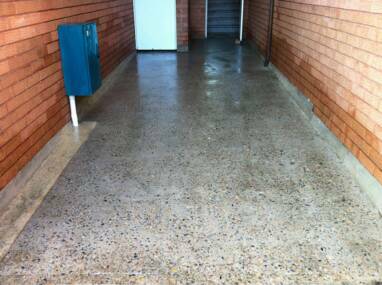 Also, in many cases, the area of concrete is large and takes many hours of difficult physical labour to clean. 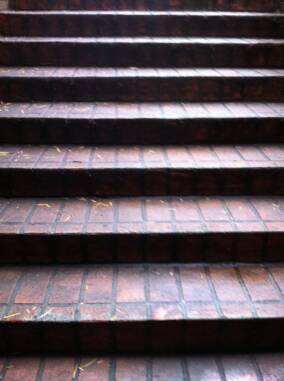 Step 1 A biodegradable environmentally safe cleaning solution is applied to the surface of the concrete or masonry. 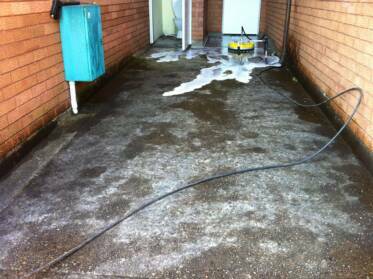 Step 2 The cleaning solution is mixed thoroughly with water on the surface to loosen the bond between the concrete surface and mould, mildew and moss. 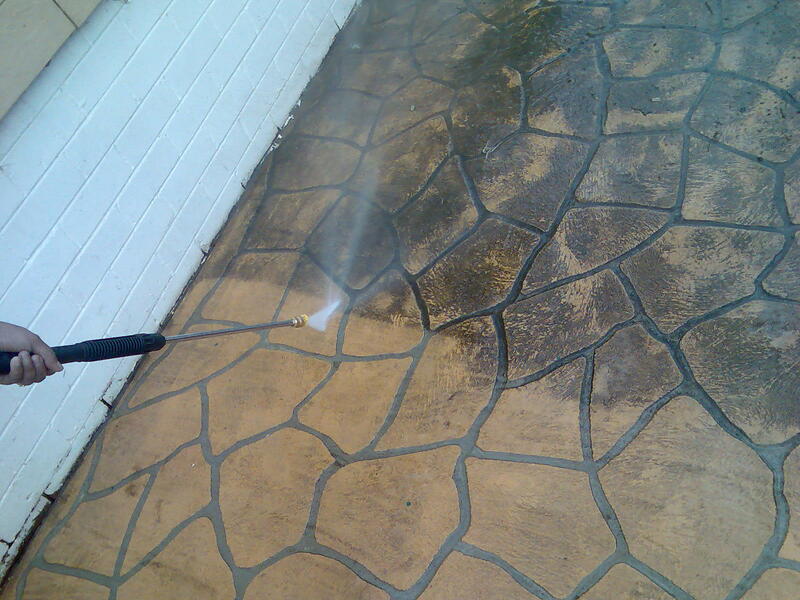 Step 3 High Pressure jets blast the surface to remove accumulated dirt and debris and leave it looking like new! 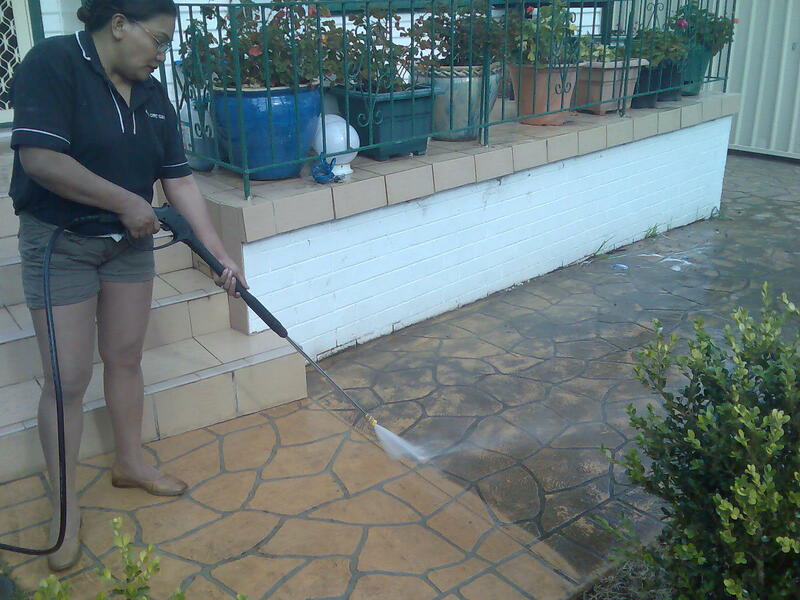 Ruthies Commercial Cleaning has the equipment, experience and expertise to clean your external surfaces professionally. 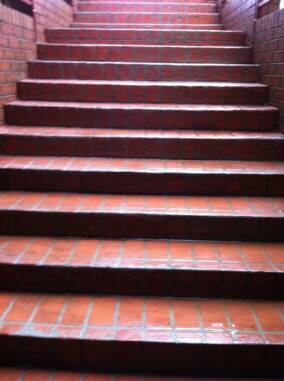 We provide a satisfaction guarantee on our work.